Idyllically located along the tree-line boulevard of Jalan Merdeka, Melaka's main business and entertainment avenue, the cosy new Pacific Coffee duplex cafe offers a chic urban ambience which is a perfect compliment to the delicious, premium grade coffeethat the brand is famous for. 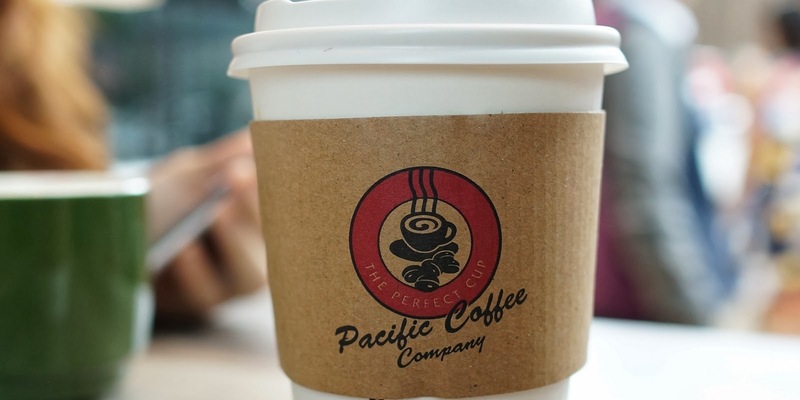 Intimate tables, comfortable sofa seating and warm friendly service are just some of the elements surrounding your perfect coffee experience at Pacific Coffee, Dataran Pahlawan. With a kid's corner and a feature stairway which leads to a vast glass-walled 2nd level, this will be the location for the momentous launch event which marks Pacific Coffee's first outlet in Malaysia's Southern Region. The day of the launch, which was graced by Pacific Cofee's Hong Kong CEO, Mr Jonathan Somerville, Hatten Group's CEO, Mr Edwin Tan as well as a number of Melaka's top ranked elites. Bokeh shot of the coffee beans. There was a special guest that day, Mike Yung the ambassador of Pacific Coffee Company, which I have mentioned earlier on my first post on Pacific Coffee. Mr Yung gave us a demo on how he usually prepares his coffee. Or in this case, an espresso. In this demostration, he used Crema Scura. A special coffee blend sourced from Costa Rica, Colombia and New Guinea. It creates a well balanced, full-bodied expresso which is excellent as a single shot or as a base for milk drinks. The coffee comes with a nutty aroma with a cheeky floral tint,a rich, creamy caramel texture and a warm dark chocolate finish. The waitress serving a fresh hot cup of coffee made by the Coffee Ambassador Mike Yung hismelf. Yeeing certainly enjoyed her Crema Scura blend. 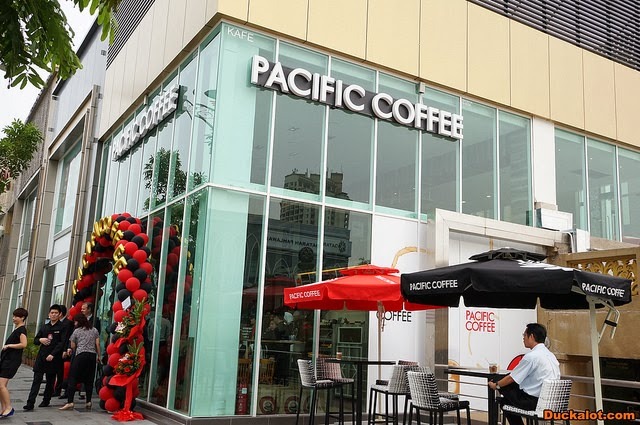 The introduction of Pacific Coffee's flagship launch in Melaka is just the start of the brand's growing presence in West Malaysia. SkyWin Brand Management plans to establish Pacific Coffee as one of Melaka's Top Favourite Coffee Houses with the opening of five more coffee outlets in and around the Melaka city centre within the next three years. This means that very soon, each and every Melekan will be able to enjoy their favourite cup of coffee at their nearby Pacific Coffee Cafe. So if you're around Melaka, do check out Pacific Coffee Company at Dataran Pahlawan. 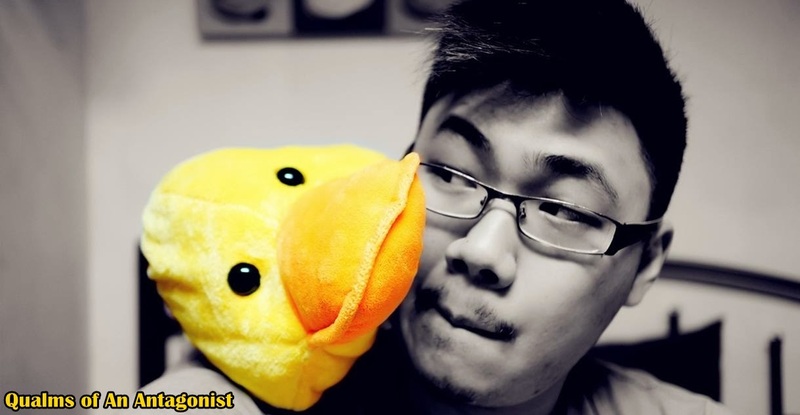 You'll certainly not regret it!